The trail ahead may be ugly, but these Rutmasters take every step in stride. Revolutionary ExoFlex technology holds tight to the back of your foot, preventing slipping and reducing friction while you follow the path to victory. Durable, flexible rubber / neoprene holds in warmth and keeps wet out, while adding none of the bulk seen in traditional rubber boots. 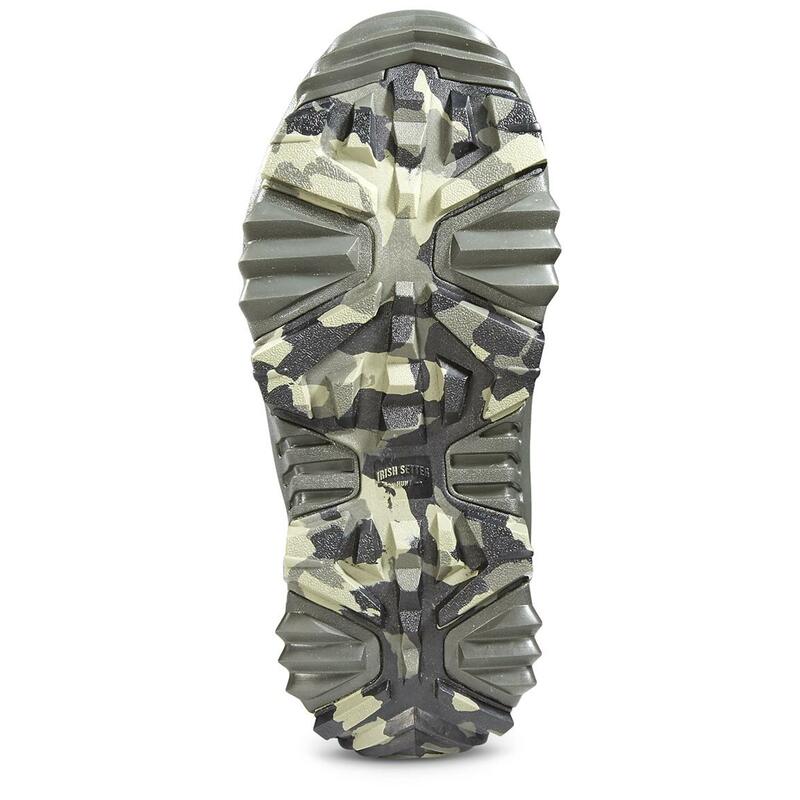 From woodland stakeouts to swampland pursuits, these are the Boots you want to navigate the unexpected. Each approximately 17" height, 43 oz. 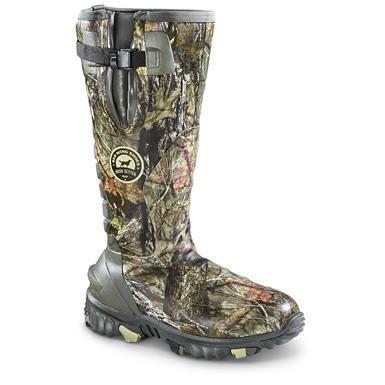 Irish Setter Rutmaster 2.0 Mens Insulated Hunting Rubber Boots, 1,200 Gram, Realtree Xtra Camo is rated 3.4 out of 5 by 27. Rated 4 out of 5 by Tworlz from Skeptical, but they have proven themselves I read the poor reviews and decided to get the boots anyway. After 4 months of use, several dozen outings for deer/pheasant/scouting/hiking and dozens of miles hiked, I have yet to have an issue. I go the 1200gr insulated version and found them comfy, and almost warm enough for all season - got a little painful around single digits. Grip is great - better than my last pair of rubber boots. Price is very fair for the boot I think. I kind of expected to have an issue, but so far so good. Hoping the issues were just a bad batch? Irish Setter - any known cause for the failed boots? Mine are Rock Solid! Rated 1 out of 5 by Jeremyjoel from Heel split open. Had this boot for a year and only used them a dozen times or so and the heel split open. Seems like this happens to a lot of people with this boot. Rated 4 out of 5 by RodS from Difficult to get on and off I really like this boot; however, once you put a heavy sock on in cold weather, good luck getting them on and off. Yes, I went a size bigger tor this reason and still have the same issue.